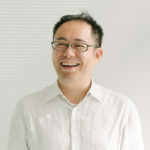 Hiroshi Tamura is Co-founder and Managing Director at Re:public Inc. Hiroshi also serves as Co-Founder and Executive Fellow at i.school of The University of Tokyo where ground-breaking interdisciplinary innovation education program is offered to all the schools at the university since 2009. His career started at Hakuhodo Inc., one of major advertising agencies in Asia and he has developed his career as a research expert through investigating in digital media, ethnographic praxis and design-led innovation aka. design thinking. After leaving Hakuhodo, Hiroshi launched Re:public, a novel think-do-tank dedicated to innovation architecture with Fumiko Ichikawa, and started a new initiative to co-develop innovation ecosystems partnering with government, industry and university at home and overseas. Now he is also taking a teaching profession at Kyushu University and Japan Advanced Institute of Science and Technology as Visiting Professor. 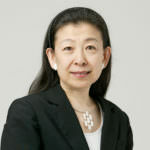 Fumiko Ichikawa has received her Masters degree in Human Computer Interaction from Keio University. In her commercial career, she has worked with many leading companies and design offices, where she took lead in global design research based in Finland, China, and Japan. After the financial crisis and the great earthquake that took place in Northern Japan in 2011, Fumiko co-founded a company Re:public, Inc together with Hiroshi Tamura. Together with national and regional governments, companies of all sizes, and educational institutes, her mission is to empower individuals and develop innovation platforms for the better future. 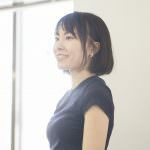 Fumiko is a member of Reach, the global design research network, and a founding director of Innovators 100, an innovation program commissioned by Hiroshima prefecture. She also organizes a Serial Innovators consortium, an alliance where she studies how innovators create and deliver breakthrough innovations. 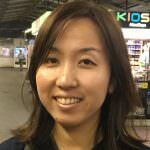 Yuki Uchida graduated from Waseda University with bachelor degree in Architecture. After working as a media producer at Recruit Ltd., she majored in Sustainable City Design at Ferrara University graduate school in Italy in 2012. She was involved in regional planning projects in Italy, Brazil, Chile, Vietnam etc. as well as UN Sustainable City Alliance Project in the Brazilian Government. Also, she took part in a project to produce participatory guidebook : “Fukui-jin:People in Fukui” in 2012, as a founder. Yuki was involved in the establishment of Re:public in 2013. She is a founding director of “Innovation Studio Fukuoka” which program to promotes citizen innovation in Fukuoka, “make.fukui” including XSCHOOL, a design school and project incubation program for young innovators and local industries commissioned by Fukui city. She has also managed foresight programs with a R&D department in several companies, universities and so on. She appointed as a regional revitalization evangelist by the Cabinet Office in 2017. Takeshi studied sociology. He has experience in the design and production of co-creative projects for companies and communities. 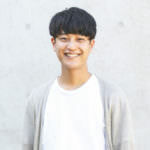 Takeshi’s work is about facilitating and connecting technologies and people through media technologies, workshop facilitation and writing. His main principle is to co-create innovative products and services with humane sensitivity and enjoyment. Ryo Shirai is an assistant director at Re:public working with local governments, companies of all sizes, and educational institutes. He has studied Cultural Anthropology at Waseda university in Japan and also, studied at Media Lab Amsterdam. 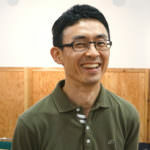 Since June 2014, Ryo has started working at Re:public and managed several projects: a Serial Innovators Consortium, an alliance where he research how innovators create and deliver breakthrough innovations in mature firms, and make.fukui project including XSCHOOL, an innovation program for young innovators and local industries commissioned by Fukui city. Majoring in sociology, Noriko has rich background experiencing different cultures. After working as sales and purchasing in a major department store, has lived in Seoul, Korea, and has worked for a marketing company promoting Japan overseas. In 2012, she enrolled herself in a Women’s Innovation Leadership Program as the first batch. Since 2017, works as a director for Re:public, inc. and since then, has been responsible for multiple projects including foresight project for Kyushu Electricity and New Normal, a new project identifying craftsmanship in today’s context, for Saga prefecture. Yoko Tada is an office manager responsible for the back office of Re:public. For over 13 years she has been a professional tax accountant, offering a support to any individual and organizations in field of entrepreneurship and business creation. Her aim is to have a long-term relationship so that people involved in economic activities can continue to be fulfilling and heart-full. 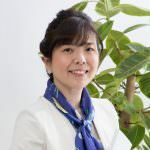 She studied management and tax policy at Kagoshima University, and previously worked at Kagayaki Tax Office and Deloitte Tohmatsu Tax Corporation. Yumiko is an independent editor based in Tokyo. Joined Re:public in 2017, she has been engaged in several projects including make.f in Fukui. 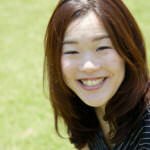 She studied Cultural Anthropology and Art History at Hitotsubashi University and University of California Santa Cruz. She had worked for a magazine titled ‘Tokyo-jin’ , exploring various cultural heritage of the city of Tokyo. 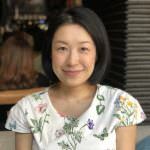 Hazuki Kosaka is an Assistant Director at Re:public, and is involved in the research and co-creation of emerging lifestyles, based on the interplay with the local. 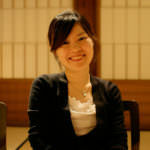 She also serves as Research Fellow at the Social Art Lab in Kyushu University’s Faculty of Design. As a recipient of Austrian Government scholarship, she conducted the majority of her research at Innsbruck University, and was awarded her doctorate in musicology from the Tokyo University of the Arts. An active critique of Classical Music, she is a regular contributor to Ongaku no tomo magazine, a major Japanese periodical in the genre. Mariko is a Japanese consumer futurist, named by Time Magazine as the foremost commentator in Tokyo, and a regular contributor to BBC World. A US-trained anthropology graduate from Stanford, she is one of the founding members of the Hakuhodo Institute of Life and Living and policy adviser to the board of Hakuhodo, Japan’s second-largest ad agency. She has been a member of more than a hundred government committees, for MOF and MITI among others, and is currently a policy adviser on telecom competition and ITS (telematics). She is a regular speaker at international conferences, prolific author and adviser to many leading corporations. Dr. Kun-Pyo Lee is a professor and head at Department of Industrial Design, KAIST, and Dean-elected, School of Design, Hong Kong Polytechnic University. He is a former Executive Vice President and Head of the Corporate Design Center of LG Electronics, and a former President of IASDR (International Association of Societies of Design Research). He studied design in Korea, the United States and Japan, with his research interests including user experience design, human centered design, design methodology, and open design with crowds. He has published over 350 articles, papers, and books in Korea and abroad, and has been a keynote speaker and lecturer at over 150 conferences and institutions globally. Bryan is cofounder and partner at Dash Marshall, an architecture and strategic design studio working with people who care about cities. Bryan runs the studio’s Civic Futures practice, serving clients such as Google, Bloomberg Philanthropies, and the Museum of Modern Art with a focus on reinventing urban environments and institutions. 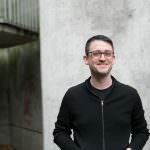 Previously he was a founding member of Helsinki Design Lab at the Finnish Innovation Fund, a pioneering organization working under the auspices of Parliament. Bryan writes on topics of design, entrepreneurship, culture, and public innovation, with publications including LEAP Dialogues: Career Pathways in Design for Social Innovation (2016), Helsinki Street Eats (2012), Legible Practices (2013), and In Studio: Recipes For Systemic Change (2011). He holds a Bachelor of Fine Arts degree from the Rhode Island School of Design and a Master of Architecture I degree from the Harvard Graduate School of Design. Bryan serves on the board of directors for Public Policy Lab in New York City and is based in Detroit, MI. Re:public is a small team, working with people from different sectors around the world. We are always looking for new Re:public members and partners. If you are interested, please contact via e-mail below.